Hello all my fantabulous readers! Sorry I’m a little behind this week. It’s been a strange one so far to be sure. For your troubles I’ll have at least two posts this week! 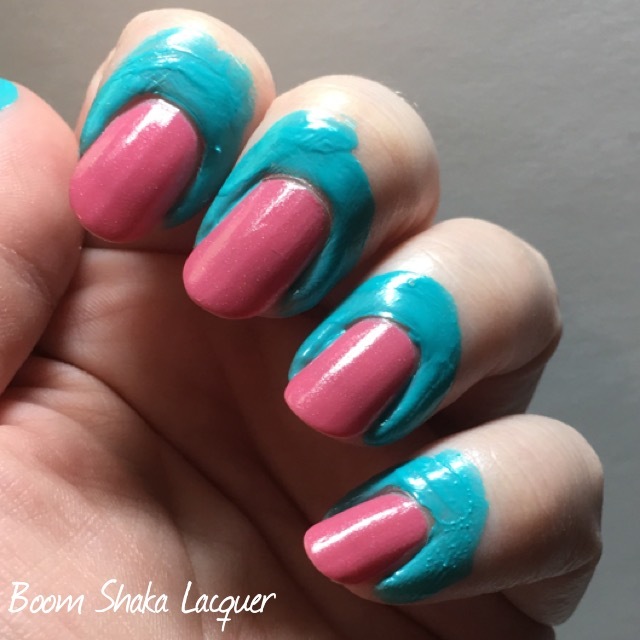 Today I’m going to share a nail art look that was inspired by a friend of mine. Tiny (this is obviously a nickname) is the daughter of two of my very best friends and is 7 years old. Recently, Tiny has been wanting to chat online and naturally her parents want to make sure that she’s chatting with safe people so they asked if I would chat with her. I’m like “Are you kidding, I love kids!” Tiny is pretty spectacular and she -loves- all things glittery, girly, pink, and loves it when I share my nail art with her. 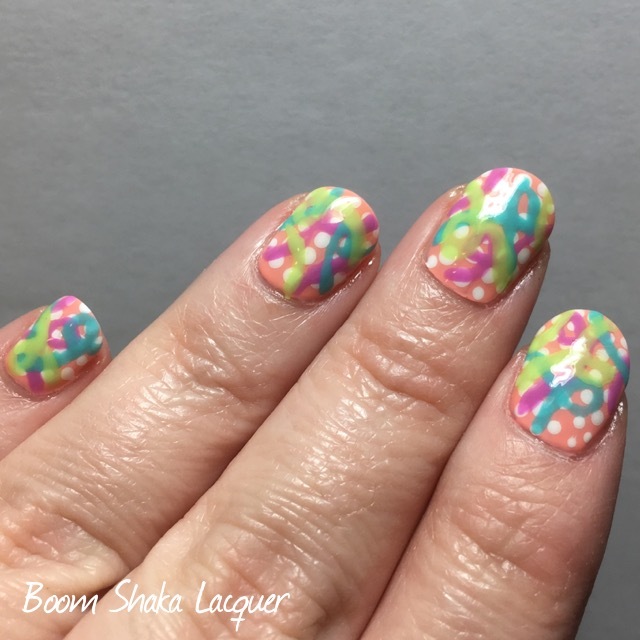 First I started by painting a base coat of Long Gone and adding a pattern of small white polka dots and then the fun began. 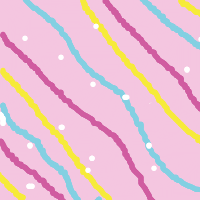 Rather than the straight lines that Tiny drew, I thought the whole sketch reminded me of confetti and streamers, so I wanted to make sure I had some curves and curls in there as well. 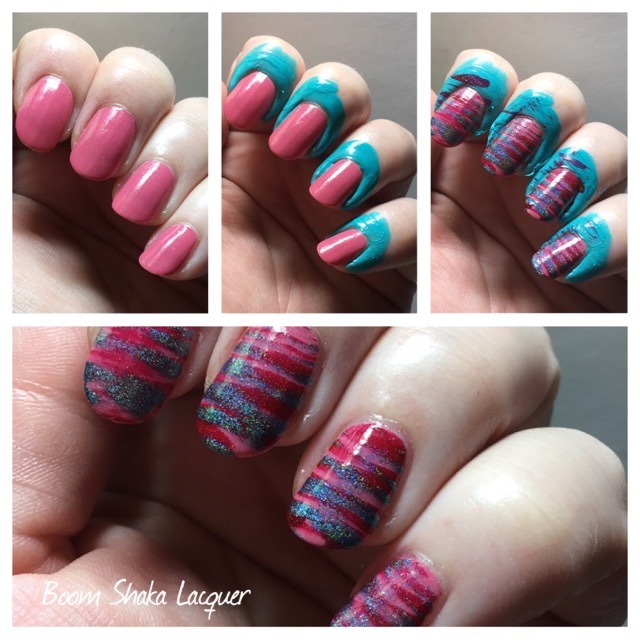 Using Terrapin, Octopus, and Birdie Hop I did some random streamers and curls over the top of the dotted base using a small nail art brush. 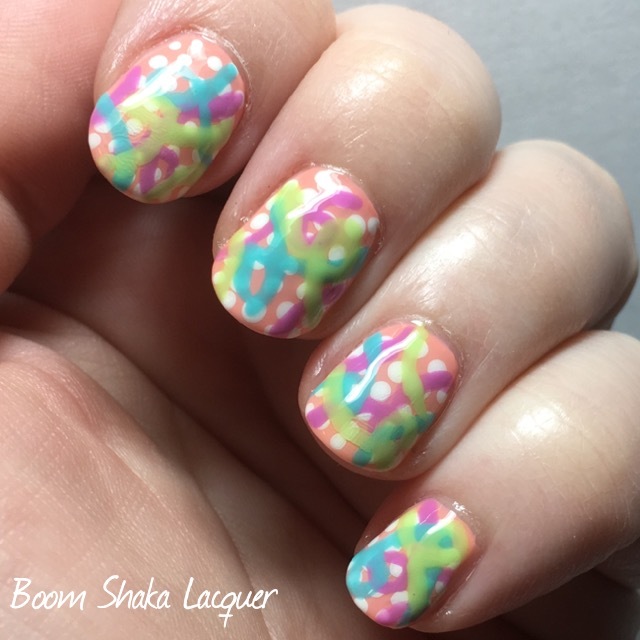 I was really pleased with how festive, cheerful, and happy this mani came out! Best part? Tiny loved it too! You might see more nail art inspired by Tiny because she gives me lots of ideas and is a very creative little girl. I’m delighted to be friends with her! Hello all my lovely readers! Today I’m gonna show you most recent manicure. 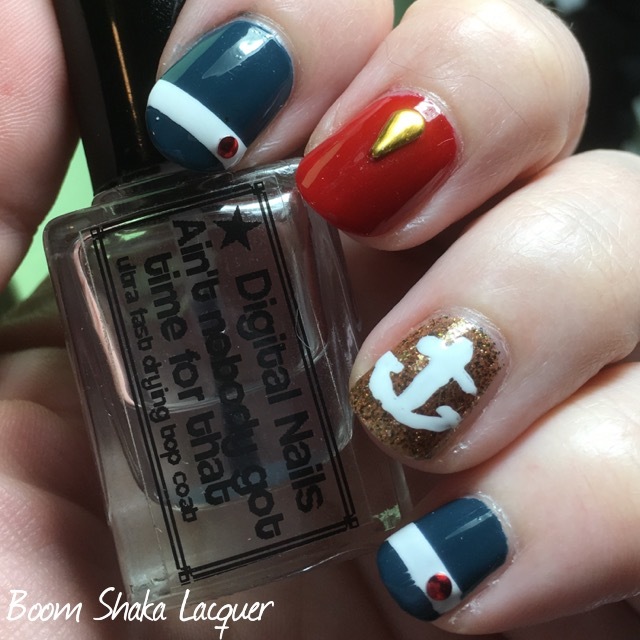 I decided on a nautical theme, not sure why I just really wanted to give it a go as I haven’t before. Mermaids and unicorns I’ve done to death but I wanted to do something a little different. As usual my focus remains on indies so I used all indie polishes (except the white, I really need to get a good indie white and black. I think that will be my next goal. I already know I’ll probably get the ones from Digital Nails but if you wonderful folk have any other suggestions I’m all ears). For this mani I pulled out some gorgeous creme polishes and one really amazing gold flakie topper. 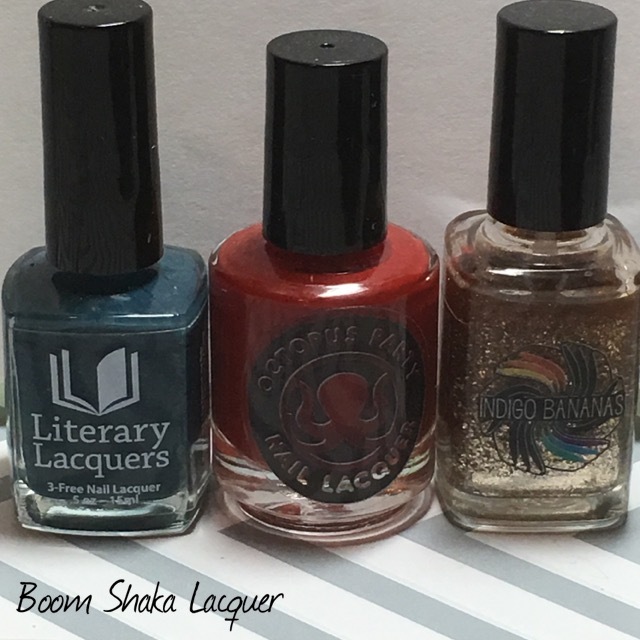 I used Literary Lacquers – Bluestocking Romance and OPNL – Universal Loner were part of the Creme a la Mode box which I have reviewed before. They are really perfect for nail art. The gold flakie topper I chose to go with them is Indigo Bananas – A Star to Sail By. 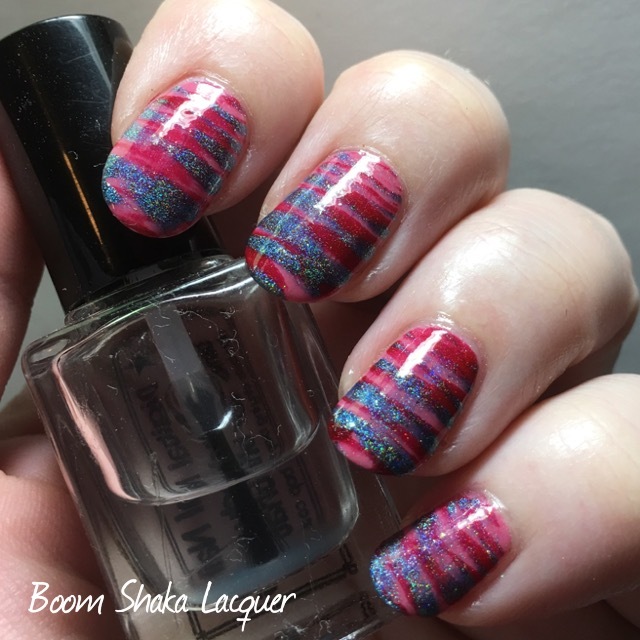 Once I had the base down I added a crisp white stripe to the nails painted with Bluestocking Romance using some nail vinyls to make sure that it was straight and clean. 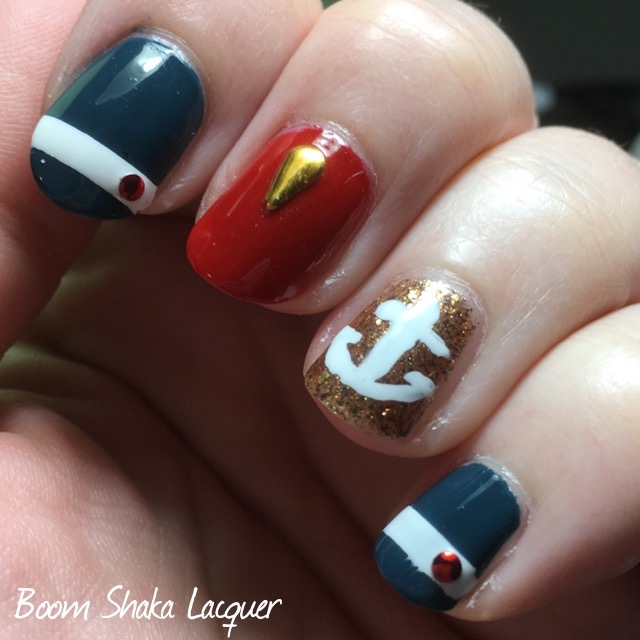 I hand-painted an anchor on my ring finger, I know that freehand nail art intimidates a lot of folks but this one is a really simple design that I think anyone can do! I’m no impressive nail artist and if I can do it then certainly anyone can. Once I had the white accents added I decided it needed some metallic studs. I used a teardrop shaped gold metallic stud on my middle finger and thumb and then I added teensie red metallic studs to each of the white stripes on my forefinger and pinky. Hello all my lovely readers. I promised I was back and here I am again! 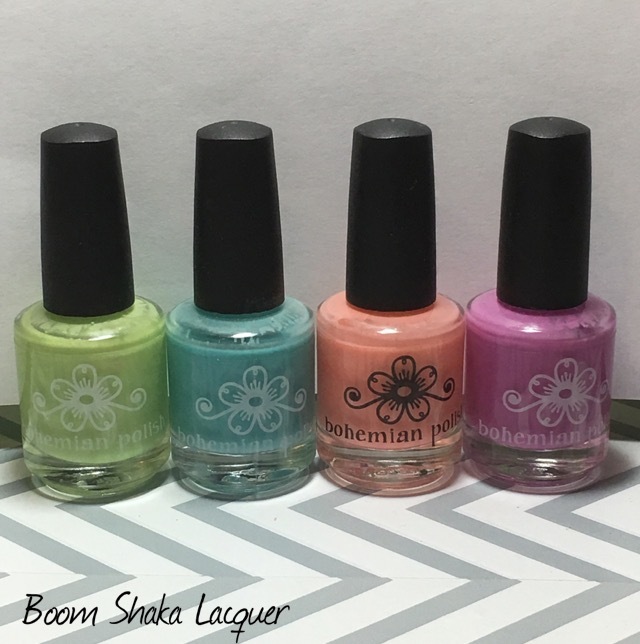 Today I’m going to show you a pretty mani that has me staring at my nails whenever I think no one is looking! I started off with a base coat of Indigo Bananas – Immortal Game. How I never reviewed this for you guys before I do not know! So let’s start with that. I’ve actually had this awhile but it is still available on her site. If you don’t have any Indigo Bananas nail polishes…I urge you to go and change that. I haven’t been disappointed yet. Immortal Game is a turquoise crelly polish filled with glassfleck and a color shifting shimmer. Honestly, it’s a fantastic stand-alone polish even without nail art…but I can’t control myself sometimes. I digress! Back to this polish. The color-shifting shimmer was extremely shy when I tried to photograph it. I did get one picture where you can see a little bit of the yummy shimmer. It’s -much- more prominent in person. The application on it was fantastic. Even though it is packed with glassfleck and shimmer it went on smoothly. First coat is a touch sheer but it was opaque in two coats so I have no complaints with that. Pictures show two coats plus topcoat. So then, I said to myself let’s stamp this. 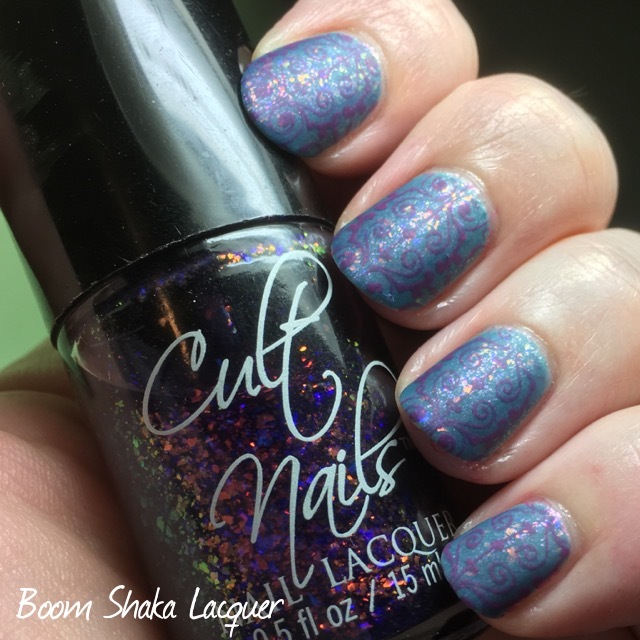 But then I saw my bottle of Cult Nails – Seduction sitting on my desk (I was testing it out with different things) and I thought…why not add flakies…flakies make every mani better! So I started by adding a thin coat of Seduction over top of Immortal Game. Now this darkened the base a bit because Seduction is a flakie topper in a indigo tinted base. 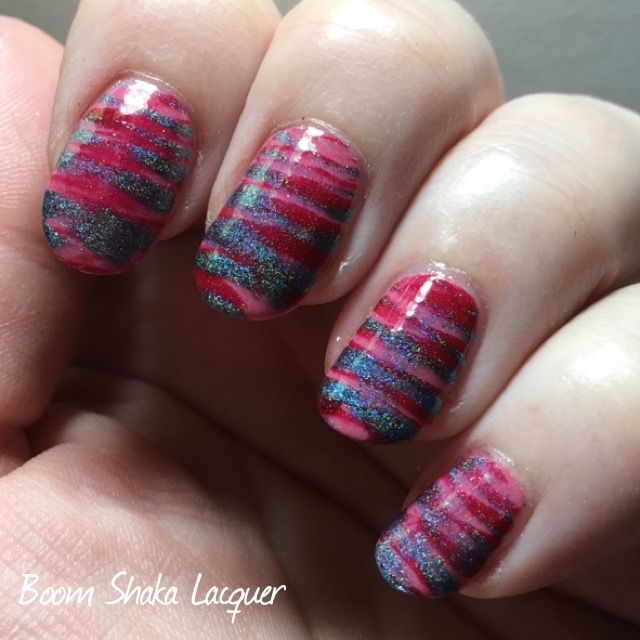 Seduction could not be used alone it’s far too sheer for that, but, it makes an amazing effect topper and is packed with iridescent color shifting flakies. Then, because as I mentioned I can’t stop (can’t stop won’t stop!) I stamped a pretty lacy image from Moyra Ornaments 03 over top in a magenta creme. 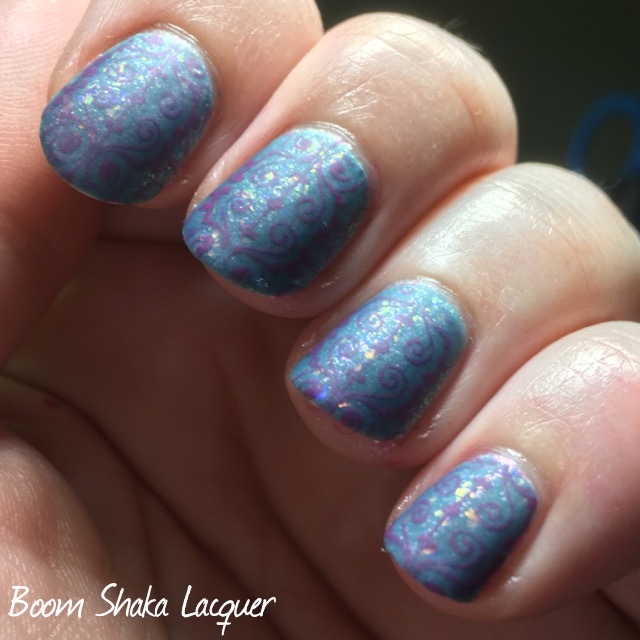 The stamping is subtle particularly with all the glassfleck and flakie action but I’m really pleased with the result. 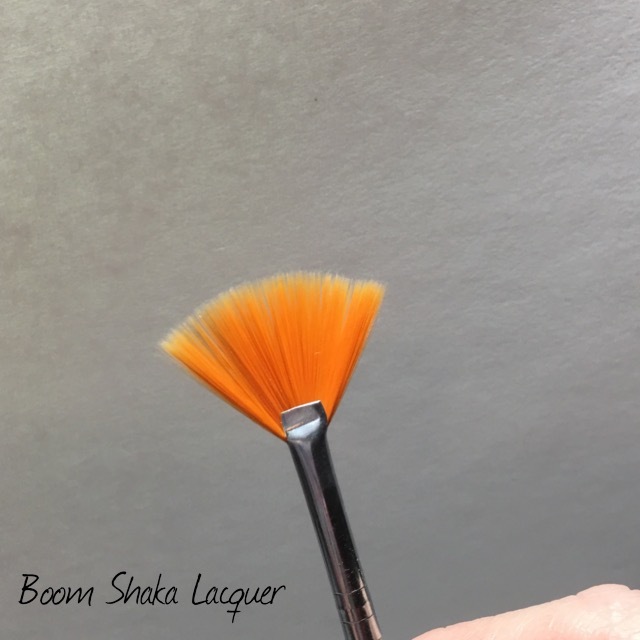 Because I used a flakie topcoat I used a matte topcoat so that they really pop (matte all the flakies!). I hope you like this as much as I did. 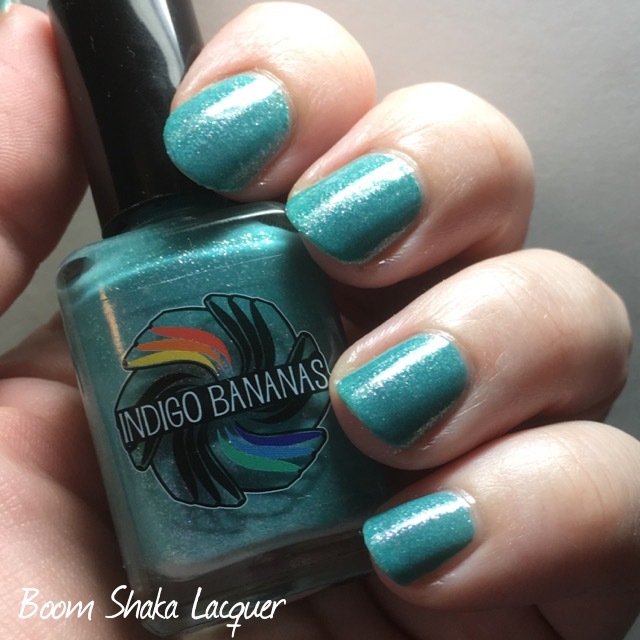 Unfortunately Cult Nails is no longer in business, but I will include links below for Indigo Bananas. As usual you can find me on Facebook and Instagram and I love hearing from my readers! Hello All my Lovely Readers! 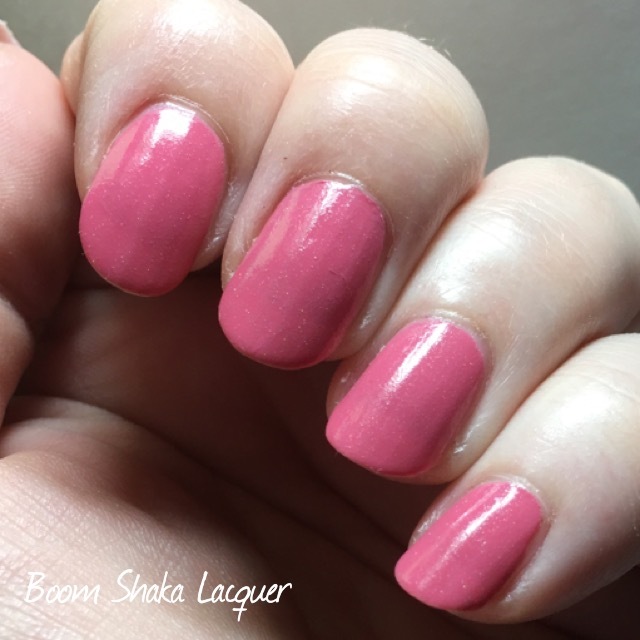 Today I’m using my stash to create a fun Valentine’s Day inspired mani. But, because I didn’t go all heart crazy it will work for just about any time! 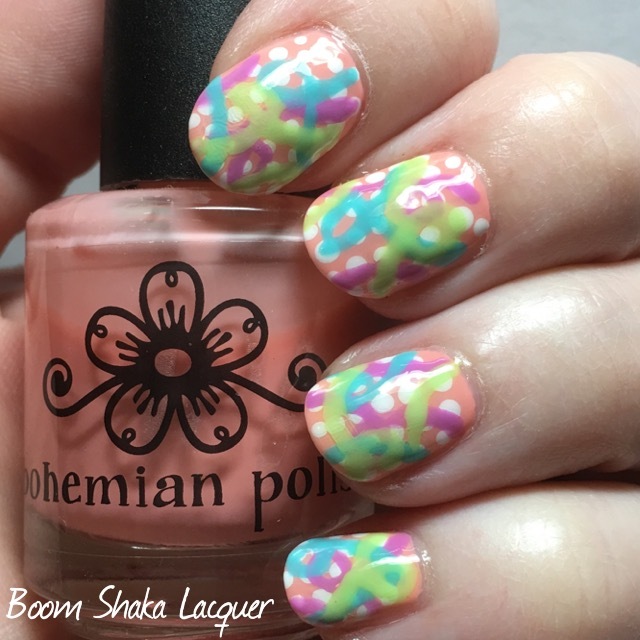 I used a fun and easy nail art technique that can be used with any combination of polishes. 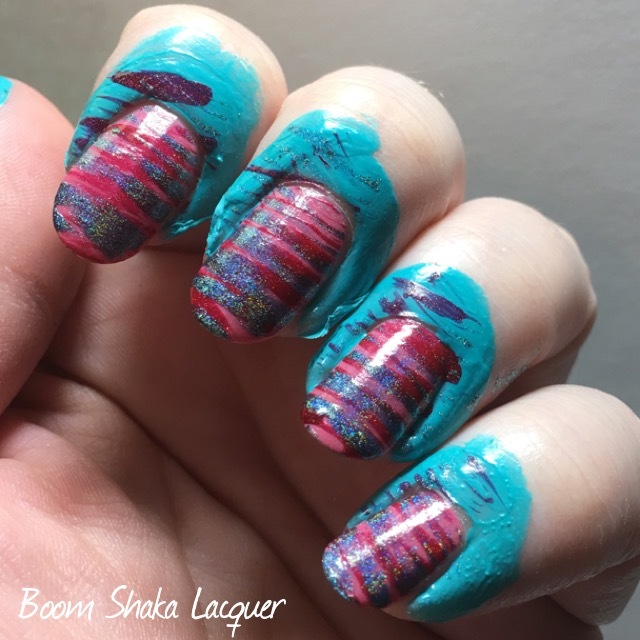 I used three polishes for this nail art look. 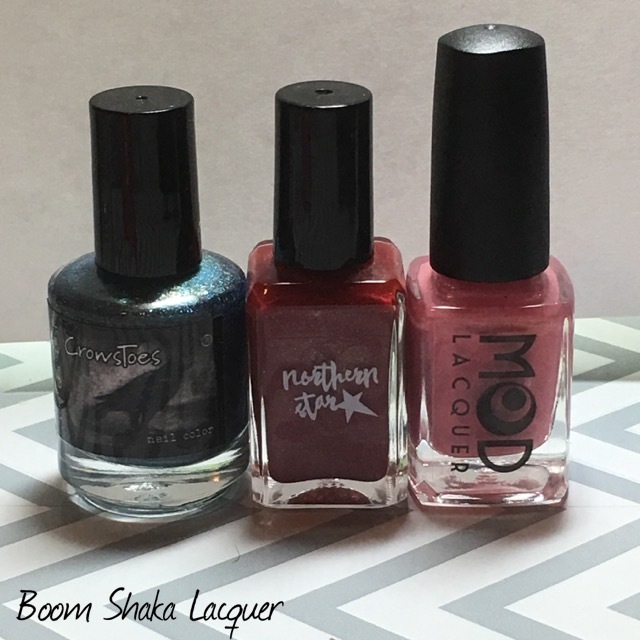 MOD Lacquer – Baby Flamingo, Northern Star – Protego Totalum, and Crows Toes – Edgy Ocean Blue. I’ve reviewed all of these before so I won’t go into that in this post. Next I used a latex barrier around my cuticles because I knew things were going to get messy. I used Digital Nails – Questionable Browser History, though I do not think that it’s available any longer. Latex barriers are pretty easy to find these days though and there are a lot of good ones on the market! I was glad I did use the latex barrier, reds and blues are particularly hard to clean up off of skin. This way all I had to do was peel most of it away and then touch up just a tiny bit around the edges! 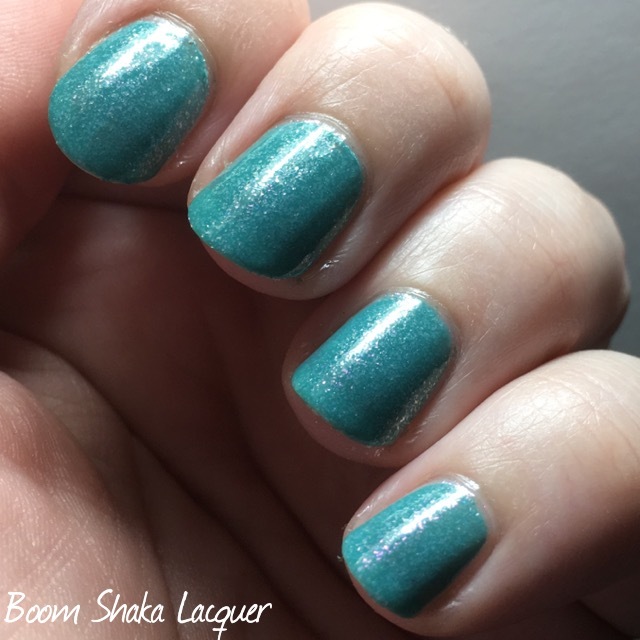 I topped everything off with Ciate Gelology Top Coat that I got in my Ipsy Bag last month. I thought I would try it out because it’s supposed to be super shiny, squishy, and hard wearing. It doesn’t dry as fast as a quick dry top coat but it does dry super shiny! I don’t know about the wear yet but if it doesn’t provide at least several days wear I will update this post! 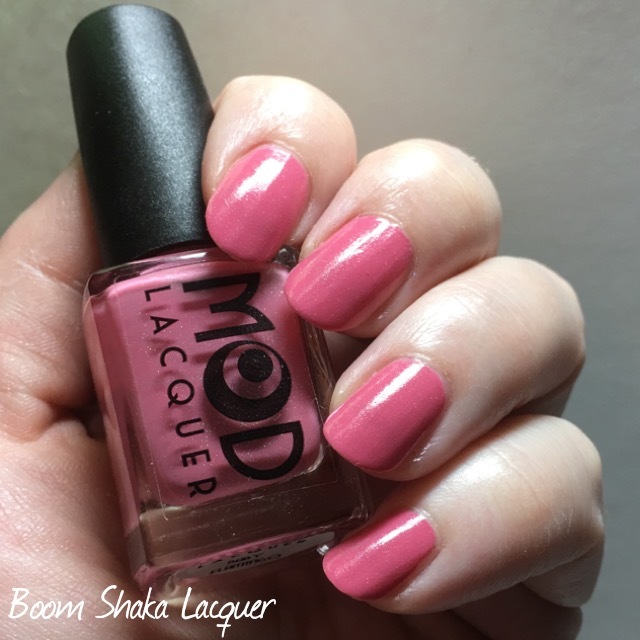 There you have it a quick, fun, and EASY nail art look that is perfect for Valentine’s day or any time!